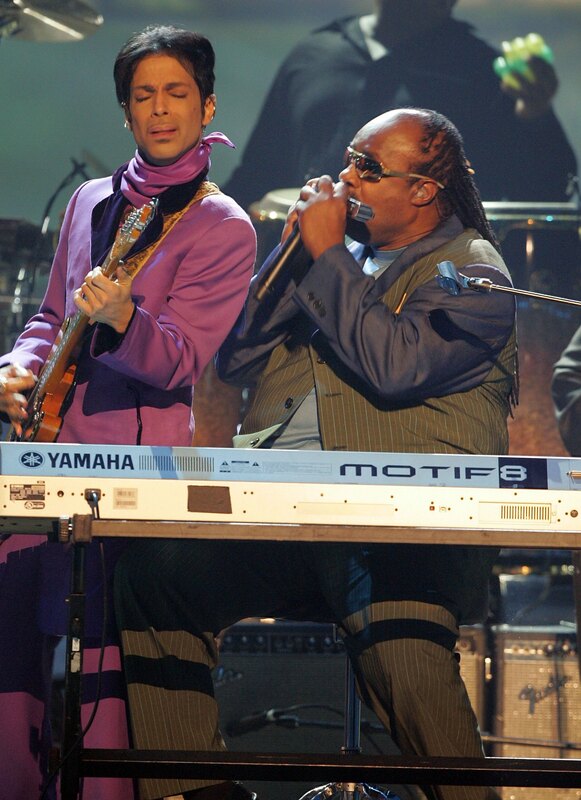 In a moving and rousing performance, Stevie Wonder and Jennifer Hudston's Prince tribute at the 2016 BET Awards alongside Tori Kelly had everyone on their feet. Joining a lineup that included Erykah Badu, The Roots, and Bilal, the iconic singer paid tribute to the Purple One with a passionate cover of "Take Me With You" alongside Kelly, infusing the performance with vocals for days, and a triumphant fervor that would make Prince proud. And when Jennifer Hudson took the stage to deliver, hands-down, the most insane vocals of the night, Wonder was right there alongside her on the keys as Kelly manned the guitar. It's the kind of performance that makes you remember that although Prince is no longer with us, his music lives on — and lives through those celebrating his life and art. The performance marks the second time this year that Wonder publicly paid tribute to the late pop star, performing a duet of Prince's classic "Purple Rain" alongside Madonna at the 2016 Billboard Music Awards. After Madonna's presence was met with disappointment from fans, BET promised to deliver a more fitting tribute at their award show, tweeting at the time, "Yeah, we saw that. Don't worry. We got you." As the stage was awashed in purple light — and Prince was honored by music icons both old and new — they certainly made good on their word.